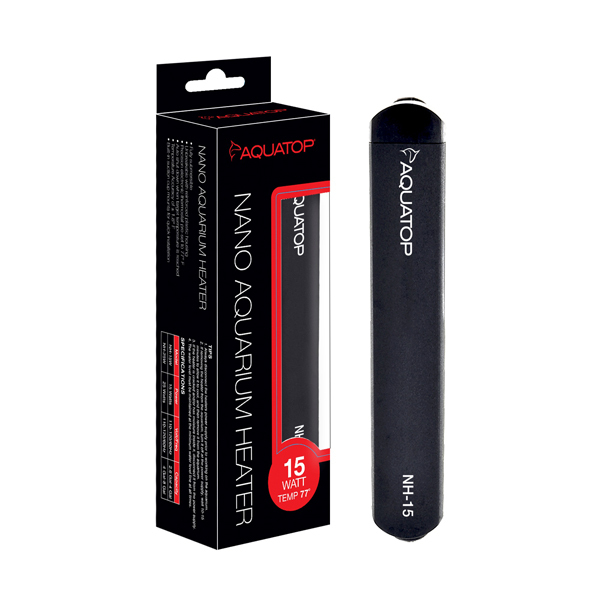 Aquatop's 15-Watt Nano Aquarium Heater is perfect for Nano aquariums up to 4 gallons. It has a built-in precise electronic thermostat which is pre-set to 77 degrees Fahrenheit and it automatically shuts down when the target temperature is reached. 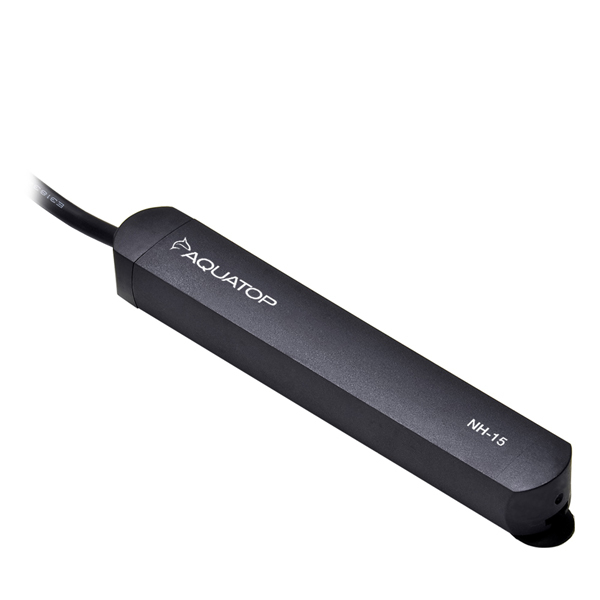 Our 15-Watt Nano Aquarium Heater has a quick installation and is easy to use! Dimensions: 3/4" x 7/8" x 5 3/8"